The Fourth Crusade, as I’ve occasionally suggested, is for me, in many ways, the Crusadiest of all the Crusades. Sure, the First Crusade actually achieved its goal, which you can’t really say about any of the others in any serious sense, and other Crusades produced quintessential Crusading heroes like Richard the Lionheart and Saint Louis. But overall the Crusades were, and again this is just my own view, an enterprise that was marked more by petty infighting, poor planning, and a tendency to shoot (or stab) oneself in the foot than by dashing heroes or the triumphant “recovery” of the Holy Land for Christ. And the Fourth Crusade has more of that first list of stuff than any of the others. Any major military campaign that sets out to battle Muslims in the Levant and instead brings down the longest-lived Christian kingdom in the world, in Greece, is worth special consideration in my book. Notice how that solid red line doesn’t get anywhere near any place that could be considered part of the Islamic World? Obviously, Pope Innocent III (d. 1216) envisioned this Crusade going much differently when he proclaimed it in 1198. And it probably would have gone much differently but for one twist of fate: the aforementioned Richard died in 1199, while fighting to regain his holdings in France from French King Philip II (d. 1223). Philip had himself gone on the Third Crusade, but took ill during its siege of Acre and was also pretty irritated at the way Richard sort of assumed full command of the whole thing, particularly because he and Richard were each backing rival claimants to the throne of Jerusalem. He had another reason to go home early, though. Philip abandoned the Crusade ostensibly because there was political trouble in France to which he needed to attend, but he was also keenly aware that, with Richard still on Crusade, English possessions on the continent would be easy pickings for Philip’s army. So Richard’s first order of business after abandoning the Crusade due to insufficient manpower, and after putting down his brother John’s aborted insurrection in England, was to go get his territory back from Philip. He was in the midst of that effort when a crossbowman sent him shuffling off into the afterlife during the siege of a minor castle called Châlus-Chabrol. Richard’s death deprived him of the chance to finally capture Jerusalem, but more importantly it deprived the still-forming Fourth Crusade of its obvious leader, someone who we can assume simply would not have allowed the campaign to go as pear-shaped as it did. But the show must go on, and as with past Crusades it was a charismatic preacher, in this case a French priest named Fulk of Neuilly (d. 1201), who took the Pope’s message out into the streets and countryside and rallied support for the effort. 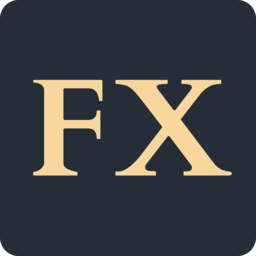 Fulk attracted the support of many nobles like Thibaut III, the Count of Champagne (d. 1201), who took the initiative in forming the Crusader army. No kings or emperors joined this time around (England and France were still at war with one other, and the Holy Roman Empire was mired in a civil war), but a number of powerful French and Italian nobles did. When Thibaut died, the group decided that Boniface I of Montferrat (d. 1207) should have overall command. At this point this Crusade seems like it’s off to a better start than the previous three, simply by virtue of the fact that it has one acknowledged leader. Previous Crusading armies were often hampered by the fact that they weren’t unified commands, but rather consisted of uneasy alliances between various princes who usually didn’t like one another and almost always refused to cede any real authority to men they regarded at best as peers, not superiors. The Second Crusade did appoint Templar Grand Master Everard des Barres as commander in the field, but he didn’t have overall command, and the failures of that crusade were largely rooted in its lack of strategic cohesion. The Third Crusade wound up being led by Richard alone, but only because Philip abandoned the campaign and Frederick Barbarossa, the Holy Roman Emperor, drowned crossing a river on his way to Acre–which thereby cost the army its large French and German contingents. In this case you had one guy leading the army by design, which seemed like a good idea. Unfortunately, that one guy was just a lord like any other lord, and as we’ll see that became a problem. Dandolo and the Venetians lived up to their end of the deal, somewhat amazingly given its scope. The Crusaders…well, not so much. They failed to make their regularly scheduled payments, and when the army finally arrived in Venice, in May 1202, it was more like 11,000 men strong than the planned 35,000. This is where the absence of a real authority figure at the head of the army, like a king or emperor, caused serious problems. Several lords who’d agreed to join the Crusade had decided on their own volition to make separate arrangements for getting to the Holy Land, which they could do because they were all more or less peers with Boniface. Richard, by contrast, almost certainly wouldn’t have permitted this level of disorganization and would’ve had the authority to enforce his own orders. The Crusade leaders had been planning to collect the money to pay the Venetians from among the assembled army–so when a third of the army assembled, they could only raise a third of the agreed-upon price. Dandolo, even if he’d wanted (and he really, really didn’t), couldn’t afford to waive or even reduce the Crusaders’ fee, lest he literally bankrupt Venice. This was quite an impasse. But Dandolo had a way for the Crusaders to make good. He wanted them to do a little marauding of Venice’s maritime competitors along the coast of the Adriatic. In particular, he wanted the Crusaders to attack Zara, a city on the Dalmatian coast of Croatia that had once been a Venetian vassal but now belonged to Emeric, the King of Hungary and Croatia. Innocent III, for obvious reasons, was absolutely opposed to a Crusader army attacking a Catholic city, but Dandolo kicked the papal representative out of the army and led it to Zara. At this point, Innocent threatened to excommunicate the entire Crusade if they proceeded. One of the Crusade’s leaders, Simon of Montfort, told the Zarans that his French forces would sit out the siege, which may actually have compounded the problem by inspiring the city to put up a fight rather than surrender. None of this was enough to stop Dandolo, who still had the Crusaders over a barrel and insisted on taking the city–which they did in late November 1202. Innocent, true to his word, excommunicated the whole army. Innocent again opposed this move, but having already excommunicated the Crusade over Zara there wasn’t much more he could do to them now. Dandolo, meanwhile, was thrilled—not only would he get paid in full, but Venice and the Byzantines had a real love-hate relationship. It’s entirely possible that Dandolo preferred a Crusader attack on Constantinople to one on the Ayyubids in Egypt, who were good Venetian clients. The future Alexios IV convinced the Crusaders that they’d be greeted in Constantinople as liberators, to borrow a phrase, but as it turned out the people of Constantinople were fine with Alexios III being in charge and actually put up a fight. Despite being outnumbered and on Alexios III’s home turf, however, the Crusaders besieged the city and forced Alexios III to flee in July 1203. Isaac II was returned to the throne despite his blindness, which wasn’t exactly what the Crusaders had wanted, but at their insistence the young Alexios, now officially Alexios IV, was crowned co-emperor. Things went south pretty fast from here, when it became apparent that Alexios IV simply couldn’t pay the exorbitant reward he’d promised the Crusaders. He ordered anything of value in the city melted down to pay the foreign army, including religious icons, which enraged the already-pretty-angry people of Constantinople. Meanwhile the Crusaders, increasingly convinced that Alexios was planning to cheat them, began to raid the surrounding countryside in order to get the reward they believed was theirs. Alexios was biding his time waiting for spring, when he figured the Crusaders would get bored and head off to the Holy Land (he was ready to offer them all the ships they would need to get the hell out of his hair), but in late January 1204 he and Isaac II were overthrown by a nobleman who then crowned himself as the new emperor, Alexios V Doukas. Alexios V had no intention of paying the Crusaders another cent, as it were, but the way he’d seized power meant that the Crusaders could now attack Constantinople in the name of the deposed Alexios IV and claim that they were doing a noble, Godly deed in service of the rightful emperor. Attacking Constantinople was something of a religious gray area anyway, since the Orthodox church was out of communion with Rome (you can juxtapose this with the entirely inappropriate, theologically-speaking, attack on Catholic Zara). Alexios V’s coup simply erased whatever ambiguity there might have been about the, oh let’s say “righteousness,” of the Crusader cause. The siege of the city, using the masts of the Venetian ships as siege towers, began in earnest on April 8 and wasn’t fully over until April 13, but April 12 was the decisive day. Good weather conditions allowed a group of Crusaders to scale the city walls, and they began to knock holes in them to let more Crusaders in. For one of only a handful of times in Constantinople’s long existence, the city was rendered defenseless. On April 13 the cream of Constantinople society offered the imperial throne to Boniface of Montferrat, the leader of the Crusade but he demurred. The Crusaders had agreed to put the choice of a new emperor to an election, and the winner turned out to be Baldwin of Flanders (d. 1205), who now became the Latin Emperor of Constantinople. The city, meanwhile, was picked clean by the plundering army along with a mob of Constantinople’s Latin residents. Alexios V fled the sack but was captured and executed in Constantinople in December. 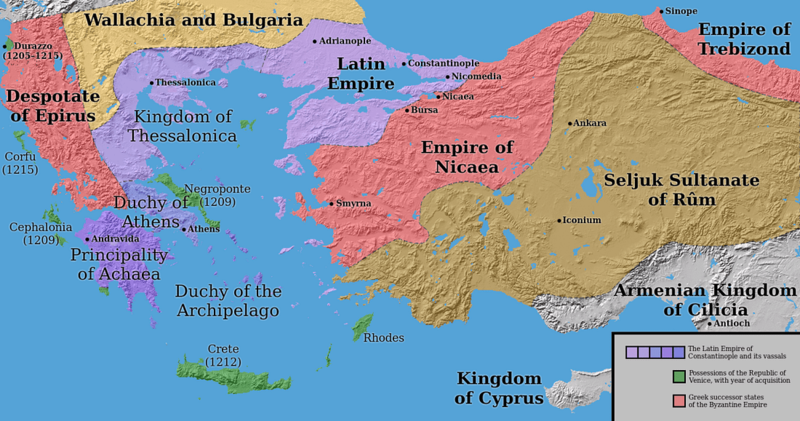 The Latin Empire of Constantinople survived until 1261, when it was defeated by the Byzantine successor state in Nicaea and the Byzantine Empire was restored under new Emperor Michael VIII Palaiologos. Innocent, when all was said and done, restored the Crusaders to God’s good graces and, I’m sure very grudgingly, accepted the copious amount of plundered riches they sent Rome’s way. But he seems to have recognized that the Crusade would be the final nail in the coffin for any plans to heal the Great East-West Schism. That became a real issue in, say, the 15th century, when Byzantine subjects and Orthodox clergy resisted Latin efforts to raise a new Crusade to help defend what was left of the empire from the Ottomans. 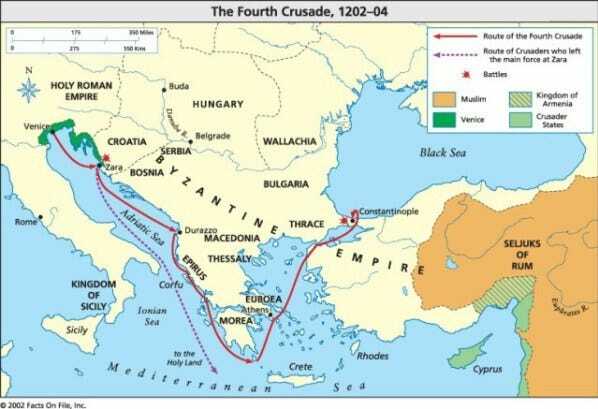 The traditional view is that the Fourth Crusade led directly to the end of the Byzantine Empire in 1453, by dramatically weakening the empire moving forward. But here’s the thing: the empire was already pretty weak, otherwise this ragtag Crusader army probably wouldn’t have been able to do what it did in the first place. On the other hand, the empire did survive until 1453, and that’s a long time to be feeling the effects of something that happened in 1204. There were lots of other reasons why the empire eventually fell. The empire, for example, had long depended on the defensibility of its capital for survival, and the advent of siege cannon made Constantinople’s greatest defensive feature—its massive walls—obsolete. So in my view it’s difficult to argue that, absent this Crusade, the Byzantine Empire somehow would have been able to survive much longer than it did. But that’s not to say that the Fourth Crusade didn’t play a role in what was to come. The Byzantines were never again the aggressor in their conflicts with the Turks after 1261, and the taxes they had to raise to repair the damage caused by the Crusaders wrung the Anatolian countryside dry. I think it is fair to say that the Fourth Crusade, while it didn’t end the Byzantine Empire, did contribute to its final, steep decline.